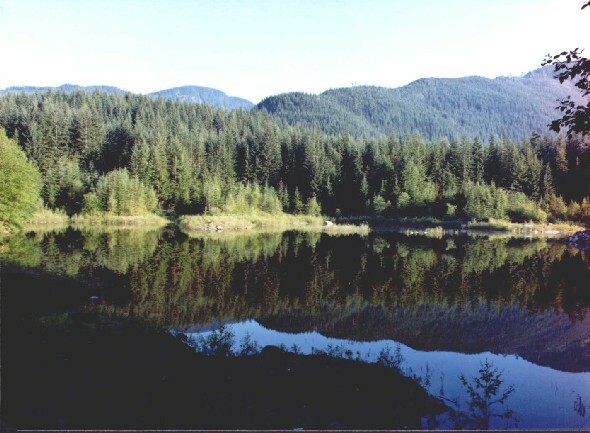 One mans experience and point of view of British Columbia's Forests. 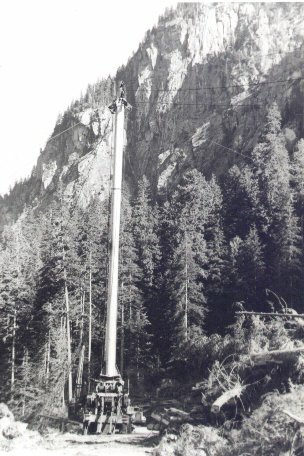 I was born in 1952 and raised in Lynn Valley, North Vancouver, and I grew up among second growth trees, although I didn't realize this at the time. 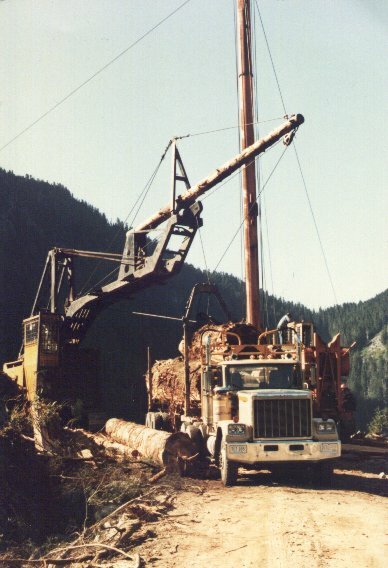 I went logging in 1968 at the ripe old age of 15, and logged for 12 years on Vancouver Island and the Queen Charlotte Islands. 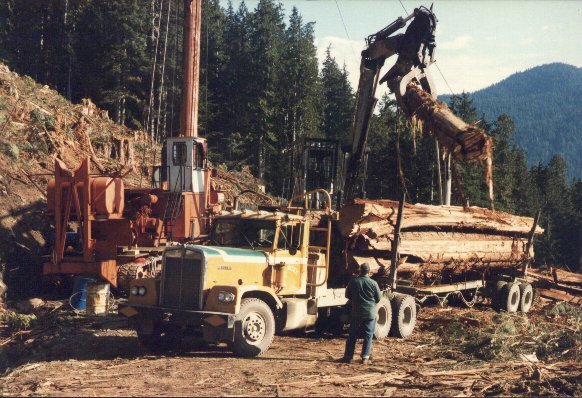 It was in my early days of logging that I realized that the forests that I had played in as a child were all second growth. 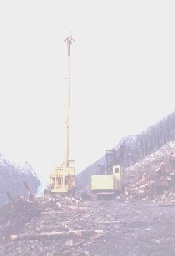 (below are some photos of some logging operations I have worked on, click on any thumb nailed photo to enlarge). 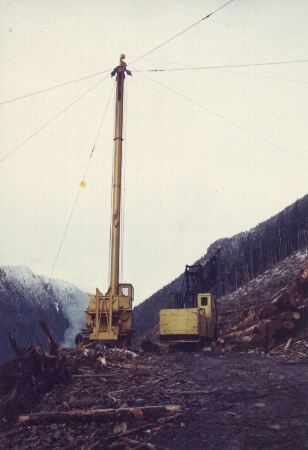 a: Rayonier Canada, June Landing 1971; b, c, d, and e: Capilano & Seymour Watersheds, North Vancouver 1982, f: Krandahl Timber, Seymour Watershed 1977. 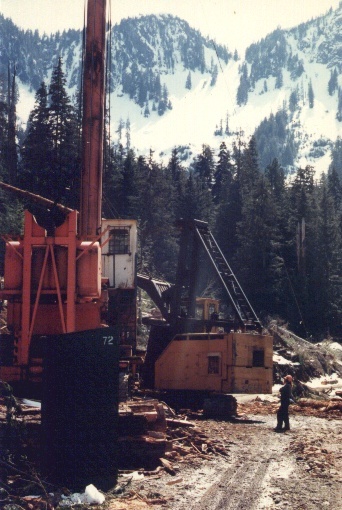 In 1980 I changed careers, but I have always had a love for the second growth forests that I grew up in. 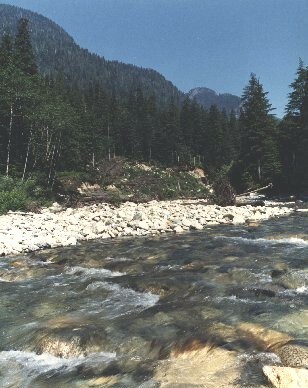 I have been photographing British Columbia's 2nd growth forests for over 30 years now, and have little or no problem finding subjects to photograph. 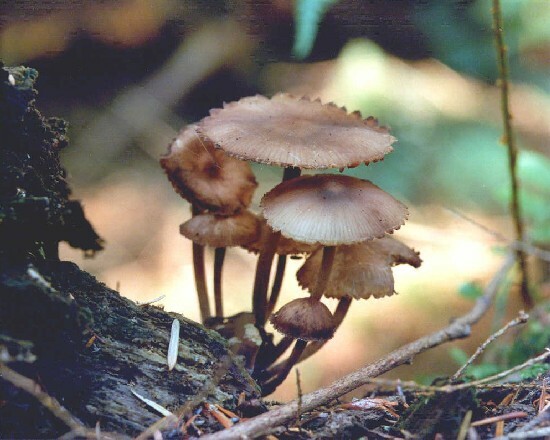 From the tiniest mushrooms and fungis, to towering trees, and of course, lots of wildlife; the proof is out there that British Columbia's rain forests are here to stay. 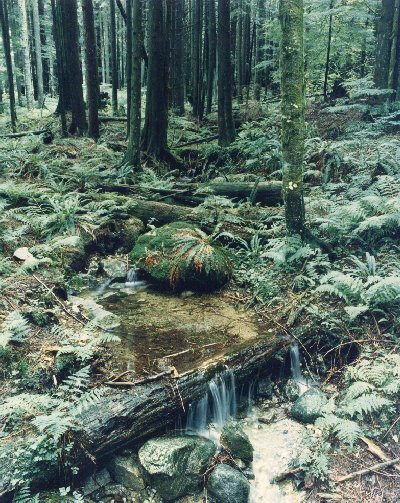 (All the photographs below were taken in second growth forests in areas that were clear-cut at one time, and were never tree planted. but just grew back naturally). 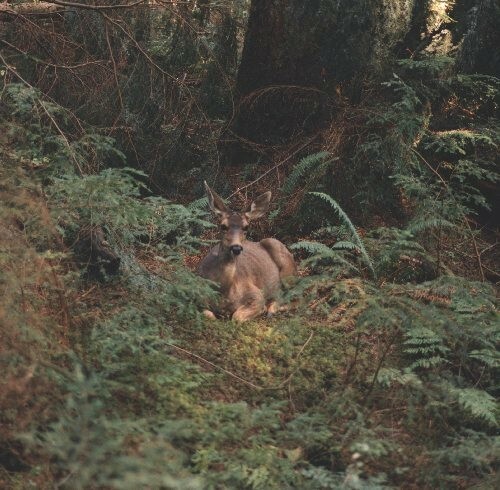 a: A deer sits silent near Rice Lake, b: Mushrooms on the forest floor, c: Upper Lynn Creek, d: Rice Lake in the winter, e: Lynn Loop Trail at Lynn Headwaters Regional Park. All the above forest photos were taken in North Vancouver, British Columbia, Canada. 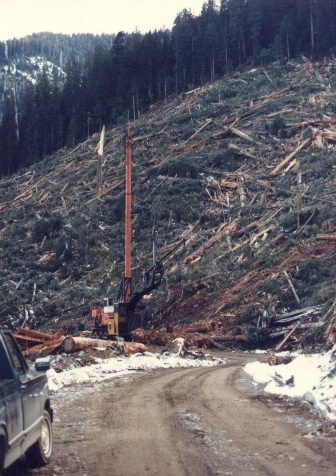 This web page has nothing to do with good or bad logging practices, nor has it to do with environmentalism, it is just what I see and find in these rich and young forests that were once clear-cut. The second growth forest photographs were taken in areas that were never tree planted, never slash burned, and never touched by a man after the logging was done. 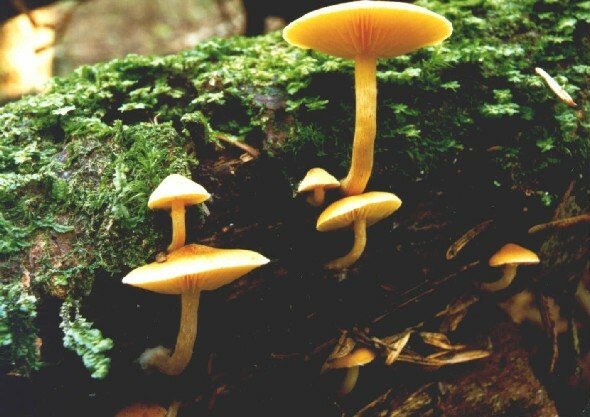 They all grew back by themselves, and it shows how hearty and vibrant our forests are. All of the above photographs were taken around and near Rice Lake in North Vancouver, BC, Canada. 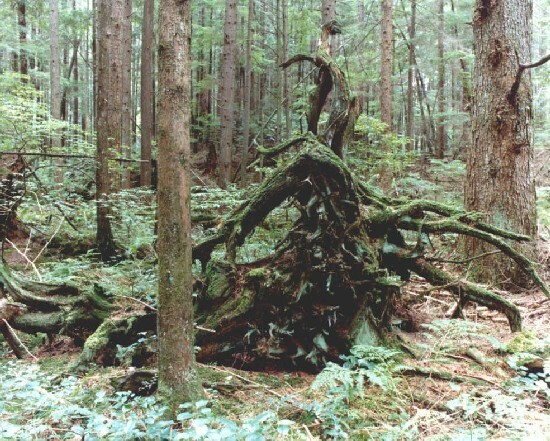 a: a second growth windfall tree, natures way to thin out the forest. 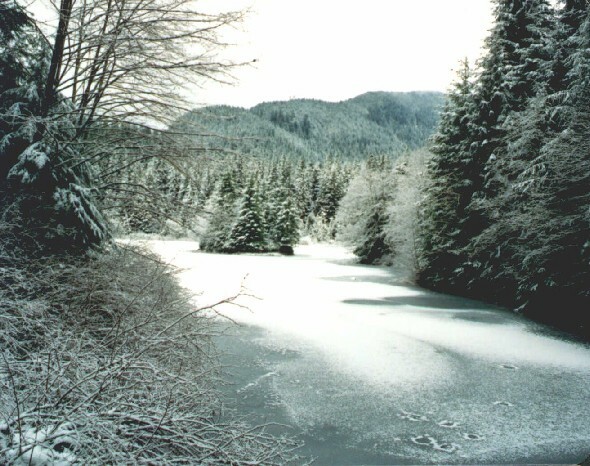 b: Rice Lake. 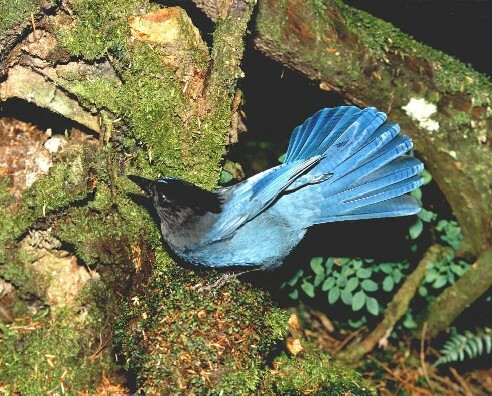 c: A Stellers Jay ready for flight. 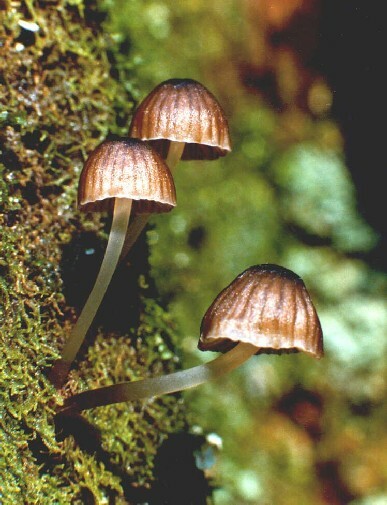 d&e: some mushrooms that you will find growing on the forest floor and on old stumps. My Ladysmith, B.C. home page. A proud member of the Eagles Nest. and a list of all the Eagles clubs in North America.